With both of these teams sitting in the middle of Group E, this is a hugely significant game for the hopes and expectations both teams will hold for the rest of the season. 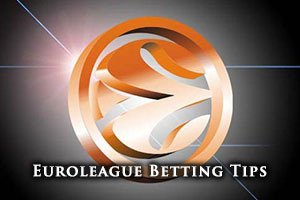 Anyone keen to look back on the previous meeting between the two sides for their Euroleague basketball betting activities should note that Alba grabbed a win in the opening week of the Top 16. This 80-70 win was a quite convincing triumph but Berlin will travel to Barcelona without two of their main players. Jamel McLean, the leading scorer for the side is injured, as is Cliff Hammonds, the starting point guard for the German side. The Catalan side will start favourites for this game and this means that they will likely have the head to head record in mind for this one. They have 10 points to haul back from the previous game but there is no doubt that an on form Barcelona side can triumph by this margin on Friday night. The Catalan giants have a 13-4 record so far this campaign but their main success came in the regular season. A 9-1 record gave the side a lot of confidence heading into the Top 16 but so far, a 4-3 record isn’t that much to shout about. Mind you, it is currently better than the 3-4 record that Alba Berlin hold. The German side have a 7-10 record overall, notching a 4-6 record in the regular season. Barcelona have scored an average of 83.2 points per game in their Euroleague matches this season while Alba have notched an average of 72.6 points per game. Ante Tomic is a crucial player for Barcelona, grabbing an average of 11.4 points per game and an average of 7.5 rebounds per game. Another important player for the Catalan side is Marcelino Huertas, who has provided an average of 4.9 assists per game. It is easy to see why Alba will struggle without Jamel McLean for this game. He has scored an average of 14.0 points per game this season and he has also offered an average of 5.4 rebounds per game this campaign. Alex Renfroe has also chipped in, serving up an average of 4.6 assists per game. In the Spanish league, Barcelona are currently sitting in 4th place, with a 15-6 record. The most recent game for the side was a 61-99 away win against FIATC Jovent. Alba are currently in second place in the German league with a 19-4 record. Alba suffered defeat in their most recent domestic game, losing 67-55 to Ludwigsburg. Bet365 believe that Barcelona are big favourites for this game and you can find them with a -16.0 handicap at odds of 1.90. When it comes to the Over/Under market, you should look to go Over 152.5 with the Catalan side out to rack up the points. 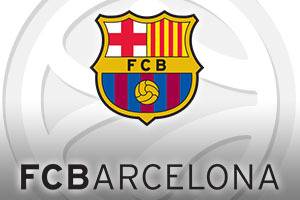 If you are keen to watch the FC Barcelona v Alba Berlin game live on Friday the 27th of February, we can help. Bet Now!